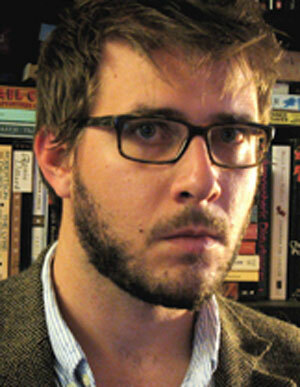 Jonathan Auxier was born in Vancouver and obtained his MFA in Dramatic Writing from Carnegie Mellon University. He lives in Los Angeles with his wife, a lecturer in Victorian children's literature. Peter Nimble and His Fantastic Eyes (Penguin Canada, 2011) is his first novel.